By Mike Koshmrl Jackson Hole Daily- It’s been a deadly year for bears trying to traverse highways and roads. Another fatal collision over the weekend brings the road-killed toll to at least five bears in Grand Teton National Park. The latest Teton Park collision, early Sunday morning along Highway 89 near Triangle X Ranch, cost a boar grizzly bear his life and was forceful enough that it rendered a resident’s vehicle inoperable. Although the impact took place at 5:30 a.m. Sunday, authorities didn’t learn of the accident until four hours later, when a passer-by phoned in about the bruin’s carcass on the side of the highway. A mile up the road was the abandoned, damaged vehicle, and park rangers were able to connect the dots. Rangers reached the motorist, who was not cited for failing to report the accident. The speed limit on Highway 89 within the park is 45 mph at night. The weekend collision killed a 2- to 4-year-old 260-pound bear that had never before been captured or marked. His death brings the total number of known or reported bear-vehicle collisions in Teton Park to seven. “That isn’t to say that seven were fatal, though,” Germann said. Three of the 2016 collisions were with black bears, and all were verified to have died. Three more grizzlies have been struck within park bounds, Germann said, though one of the three could not be located and may have survived. A seventh motorist-struck bruin was also reported, though the species was not verified and a carcass was not found. More broadly in the Yellowstone region, grizzlies are getting hit and killed at a high rate this year. At least eight members of the federally protected threatened species are labeled “road kill” in the Interagency Grizzly Bear Study Team’s online mortality database for 2016. That’s equal to the total number of road-killed bears in the ecosystem from 2012-15 combined. The high rate of fatal collisions comes in a year that’s shaping up to be deadly for the species generally. 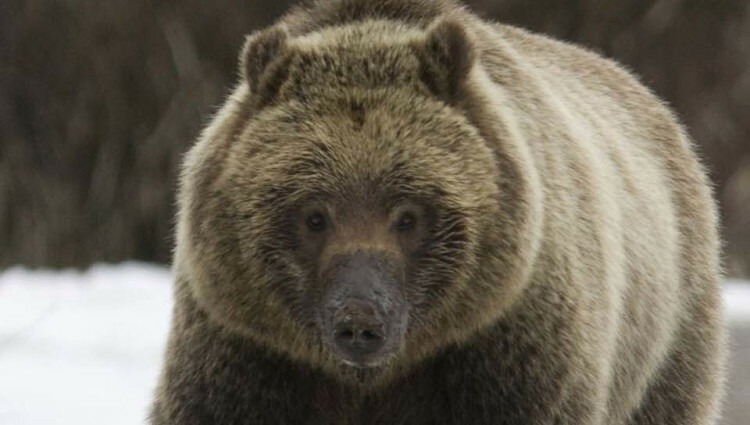 Through Monday at least 52 grizzlies were known to have died, the database shows. Managers killing bears due to conflict with livestock, people and property is the leading cause of death, followed by “under investigation” mortalities that typically signify hunter-shot grizzlies. Four of those “under investigation” deaths in Wyoming were added in the last week.